Back at Christmas, I was bought a Mark Hill bag with a selection of hair products in. 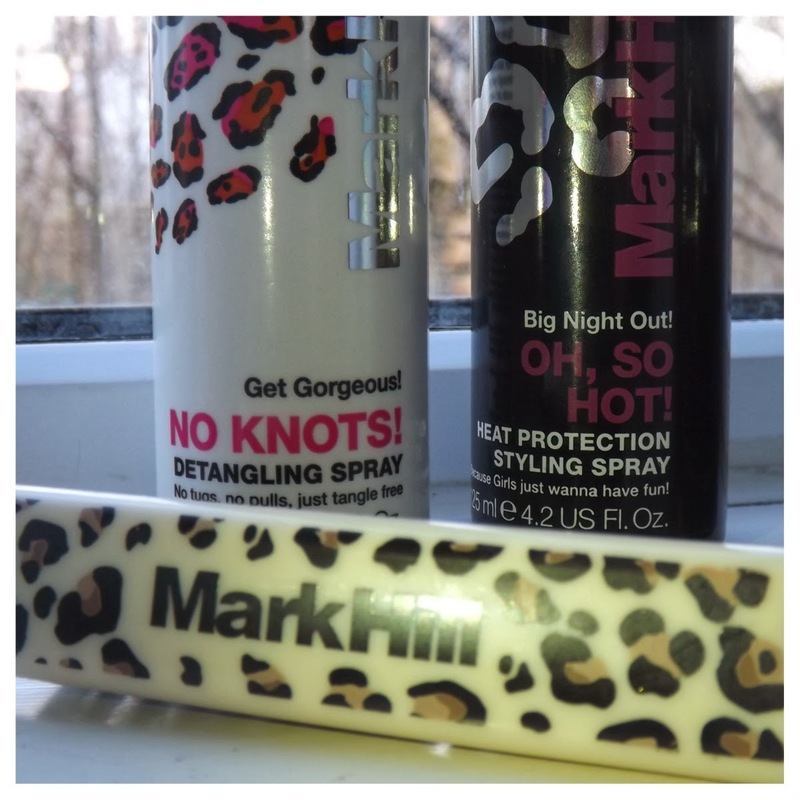 I’d never really tried any Mark Hill styling products before so I was really excited to give them all a go. It included shampoo, conditioner, dry shampoo, hairspray, a back combing brush and some rollers. I’ve used the shampoo and conditioner most days and ran out of the dry shampoo already! Once i’d tried these, I went out and got myself a few other bits as I was so impressed with them all! I got my hair cut a few weeks back and needed something just to give it a bit more umpgh so I picked up a few of the volumising sprays. The (white bottle) Big Blow spray (£5.99 Boots) is best used when styling your hair by blow drying. I use a medium round Mark Hill brush and dry my hair on the lowest setting with my hair dryer so that I control the volume being put into my hair. I spray it all over and then double up the sprays on my roots. You can instantly see the difference once your hair begins to dry (although i’ve not managed to get a good photo so apologies). 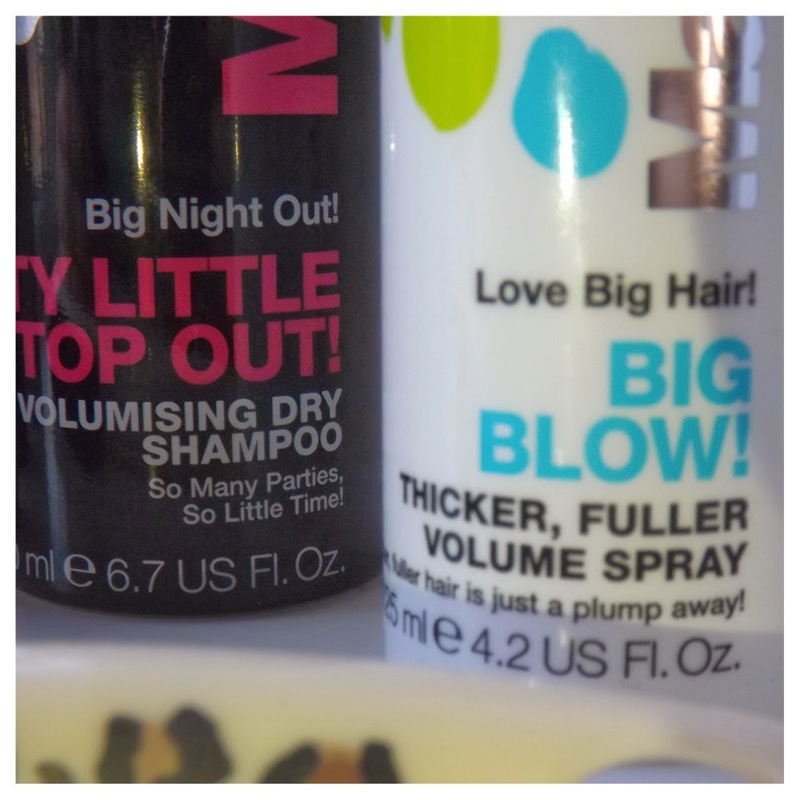 The other volume spray (black bottle) is the Supersize Me Volume spray (£5.99 Boots). I use this when i’m just blasting my hair dry and plan to use rollers or straighteners on it afterwards. The good thing about these volume sprays is that they don’t leave your hair sticky or matted - both get a massive thumbs up from me! The No Knots! Detangling spray (£5.49 Boots) is a lifesaver if your hair is forever matting or you struggle to get a comb through it once you’ve washed it! My hair matts so easy when it’s been washed and then scrubbed with a towel, even if i’ve combed it through with conditioner. Just spritz some of this on the worst areas and it helps the comb glide through! I would advise to avoid roots though as I found it left mine a little greasy when I dried it. The heat protection spray is something I always forget to use but when I do use it, it’s perfect. It doesn’t leave your hair sticky or wet and feels as if the mist just sits on your hair doing its job. The Volumising Dry Shampoo spray (£6.29 Boots) has become my favourite dry shampoo, ever! You really don’t need much of it but it definitely does it’s job! I’ve been able to rock 3 day old hair by using this bad boy and if you know me, my hair doesn’t last more than 48 hours without looking like a pot of grease has just been poured on it. Yuk! I simply spray on my roots, leave for 5 minutes then brush through using the teasing brush. 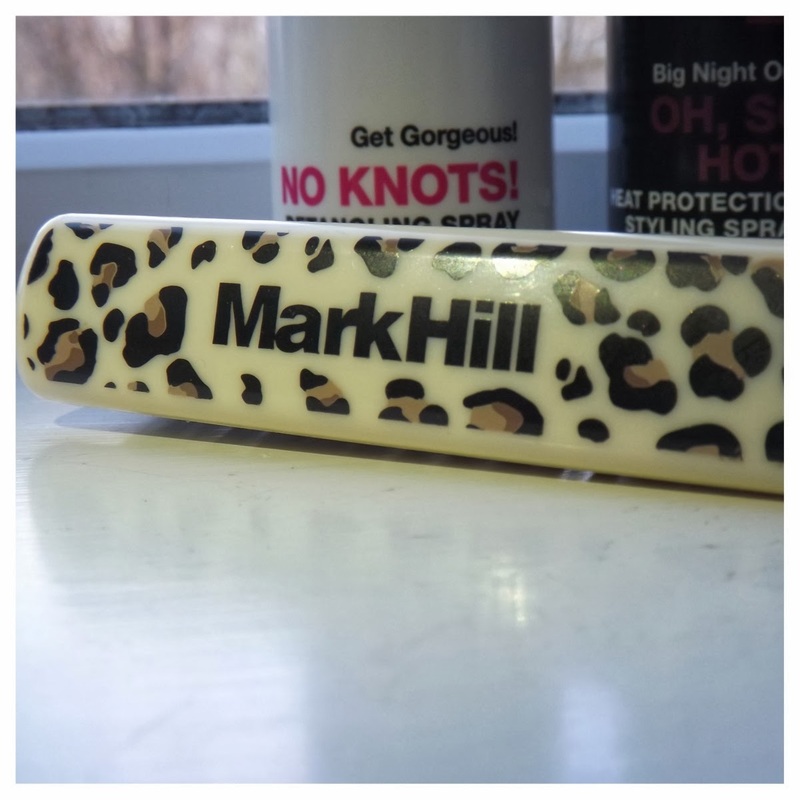 So, if you’re after some new styling products, I really recommend you try out a few Mark Hill products as there’s something for whatever you’re looking for! It really is! It’s a lifesaver on days you just cba to do anything with your hair! I've never tried anything from the Mark Hill range before but the products you tried sound great. I'll definitely look out for them in Boots. You really should try some! The shampoo and conditioner are brilliant and last ages!